With thousands of variety shows to his credit this hilarious, amazing, unforgettable show is guaranteed to create happy memories that will last a lifetime! Adolfo B has the experience, enthusiasm, and proven professionalism to make your important event a smooth running, memorable success! Your Guests Are The STARS of the Show! 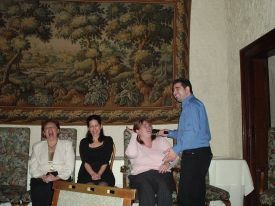 -Your guests... hypnotized and being amazingly funny! 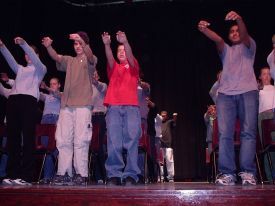 -The World's Funniest Dance Contest! "WOW that was an awesome event, great job. 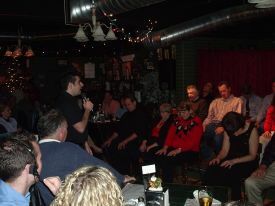 Thanks for a great Show"
Thank you so much for performing your comedy hypnosis show at Rosa's Breast Cancer Fundraiser on October, Friday the 13th. Rosa and I have received several positive comments regarding the show. Comments varied from "I laughed so hard, I thought I was going to pee my pants!" to "Thanks for the fun evening". Parents who brought their children also expressed their appreciation of a good laugh without any coarse language or actions. Adolfo, you insist the stars' of the show are the participants on stage, but you have to take credit for producing and directing an amazing hour of laughter! Not only do you put on a great show, but your colleagues" were very professional and helpful over the telephone. 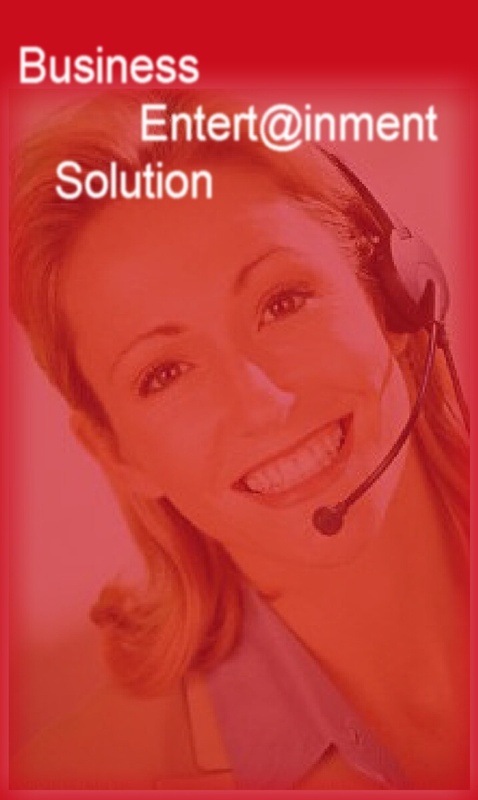 We would not hesitate to employ or recommend your services' in the future. Your show left a positive and humorous evening that will remain with many of us for a lifetime. All the Best. 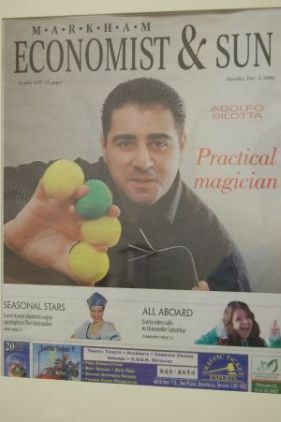 "Just wanted to send you a note to thank you Adolfo B. and the Toronto Magic Company Team for entertaining us at our recent party. Your show was great with many laughs. The one thing I must say is that you made the audience feel very safe in knowing that if they volunteered they would not do anything that was not family friendly. Some comments after the show made to me were "I don't remember when I ever laughed that hard" another was "We should have him once a year." My experience with the Toronto Magic Company right from the 1st email was outstanding. My emails and phone calls were always returned immediately which made me feel confident in booking. I would not hesitate to recommend you to anyone or to book you again for our next party. Thank you for making our evening that much more unforgettable." "The show was just phenomenal!! Everybody had a great time! The performance, was excellent! Thanks for putting on a wonderful event!" "To whom it may concern: The purpose of this letter is to provide an overview of my experience with the services offered by Adolfo B and the Toronto Magic Company. 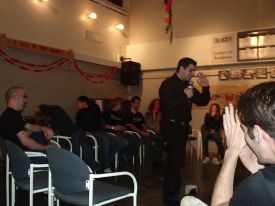 I hired Adolfo B to perform a hypnotic show for a corporate meeting at my place of work. From the outset, Adolfo was extremely helpful in terms of describing his services and what a show is comprised of. He was more than willing to work within my budget. I found him to be extremely well organized and thorough in the booking process. 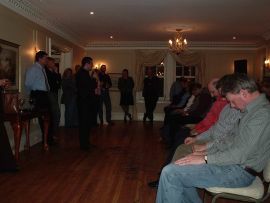 Adolfo followed up prior to the show to ensure that I was still comfortable with the details as we had arranged. He arrived early on the day of the show to set up and become familiar with the area he was going to perform in. Approximately 35 people from my office attended the social event. I had asked Adolfo to keep the show "PG" and not have any inappropriate language, etc. as it was during the day at the office. He was totally willing to comply. The result was a great, clean, audience-friendly show. 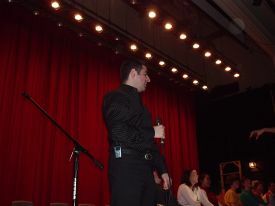 He encouraged audience participation and was a hit. 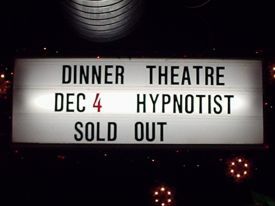 I would recommend his services to anyone who is looking for a professional show and a crowd pleaser." 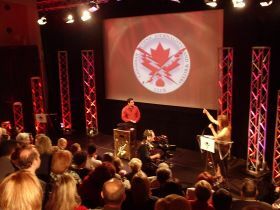 "On behalf of the Canadian Foundation for AIDS Research, I would like to thank you for your partnership with Northern Secondary School for 2004 Have a Heart Campaign. Your generous donation to Northern's Silent Auction helped make this year's event their most successful to date with more than $6,700.00 raised for HIV/AIDS research"
Popular TV Personality, Top Entertainers, and Generous Sponsors Team Up For Local Charity! Toronto, ON, February, 2005 - TV Ontario's "More to Life" Host Mary Ito to emcee 2nd Annual Fun-d-raiser for the Toronto Special Olympics (www.torontospecialolympics.com). Awesome entertainment line-up for the afternoon event includes Hypnotist Adolfo B., Illusionist Ryan Joyce, Comedians Adam Pal and Steve Levine, Two-man Band Tabasco, Elvis Impersonator James Begley, Juggler Dan Cole, Walkabout Magician Alex Leono, and Sound & Music wiz Earl "Sqrl Sound"! There will be many great items for the silent auction table, balloon pops, door prizes, and a "SurpriZe(!) Grand Door Prize" for one lucky winner, thanks to our sponsors (CIBC, VIA Rail Canada, BDO Dunwoody., Maple Leaf Sports., FIDO/Microcell Solutions, G.A.N.C., Cadillac Fairview Corp., Bosley Real Estate, Greyhound Canada, Rainbow Cinemas, Fairmont Royal York, Shaw Festival, Casa Loma, Tilley Endurables, etc.). Participating in sporting events helps to boost the morale, self-esteem, and confidence of these special athletes with mental disabilities. With YOUR help we can make 2005 a good year for the Toronto Special Olympic athletes by ensuring there are sufficient funds for them to have continued sports programs and tournaments. We hope to see you on Sunday, February 27th! 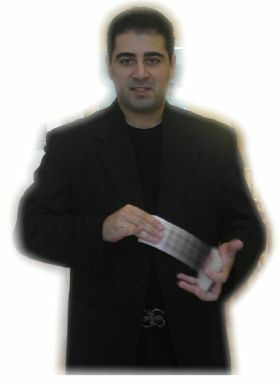 The Toronto Magic Company is offering Adult Magic Programs.